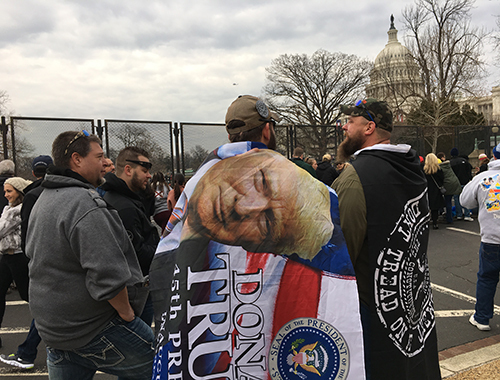 WASHINGTON – Mississippians from the Gulf Coast expressed hopes for national unity as Donald Trump was sworn in as the 45th President of the United States on Friday and said the new president should be able to promote business in Mississippi and around the country. Justin Skinner, who served as chairman of the Trump campaign in Harris County, agreed with Cumbest and said that President Trump was right to stress unity in his inaugural speech. “I think that it was his intention of his speech to unify the country and give a good understanding of where he stands and what he’s looking for our future.” “I think his speech was absolutely amazing,” said Skinner. The new president pledged in his inaugural address that the country “will start winning again [and] winning like never before” Under his new administration, Trump reaffirmed his intent of carrying out many of the ideas he had discussed on the campaign trail. In the inaugural speech, Trump called for restoring jobs for Americans lost overseas and for securing the country’s borders.